Middlesex batsman Ryan Higgins has signed a new three-year contract, keeping him at the club until the end of the 2017 season. The 20-year-old made his List A and Twenty20 debuts for the Lord's side last year. "Ryan made a really encouraging impression on everybody during his first full season," said managing director of cricket Angus Fraser. "He gave everyone a number of glimpses of what he is capable of producing." 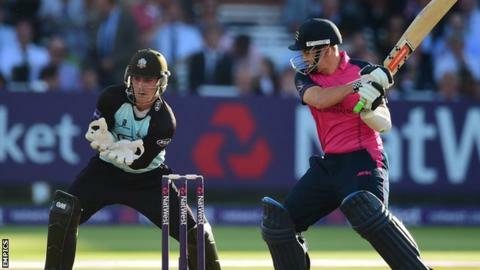 Higgins, a former England Under-19 international, made six appearances in the One-Day Cup and featured eight times in the T20 Blast. The Zimbabwe-born right-hander scored an unbeaten 44 on his T20 debut against Somerset in June. "Ryan was also outstanding in the second XI," added Fraser. "We have high hopes of him developing into a fine cricketer, and this contract reflects that."